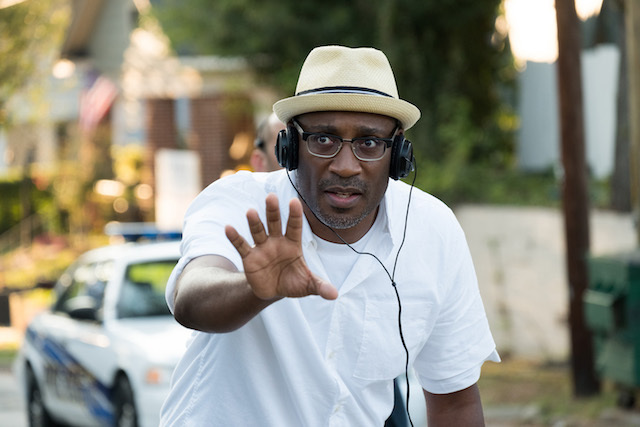 “I read the first chapter and was pulled in right away,” says ‘The Hate U Give’ director George Tillman Jr.
George Tillman Jr.’s screen adaptation of Angie Thomas’ book “The Hate U Give” is one of the most extraordinary films to be released this year. 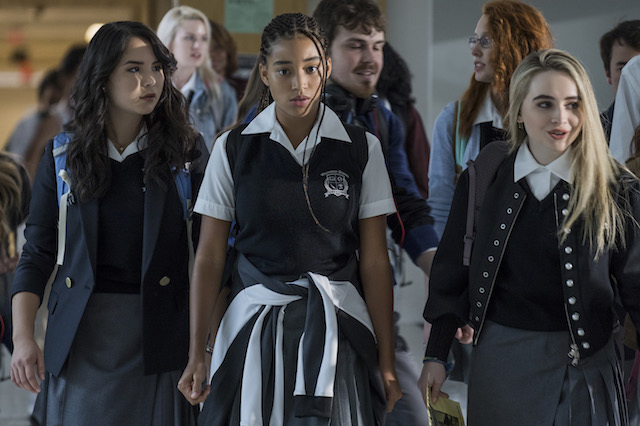 The film tells the story of Starr Carter, (Amandla Stenberg) a 16-year-old black girl who is constantly switching between two worlds: the poor, mostly black, neighborhood where she lives and the rich, mostly white, prep school she attends. After witnessing the fatal shooting of her childhood friend Khalil (Algee Smith) at the hands of a police officer, the uneasy balance between these two worlds is shattered as she’s thrust into a situation that seems insurmountable. A powerful and evocative coming of age story that explores black familial life, race, social justice and identity, Tillman (“Soul Food,” “Barbershop”) once again elicits powerful performances from his actors that include Russell Hornsby, Regina Hall, Anthony Mackie and Issa Rae as a community activist who rallies the community to demand justice for Khalil. It’s a moving drama, which opens in the black Garden Heights neighborhood with Starr’s father, Maverick (Hornsby), a reformed ex-gang member who once served time in prison giving his children “The Talk,” a lesson black parents use to protect their children from the danger police can pose to their safety. Fast forward and we meet Starr’s best friends Hailey (Sabrina Carpenter) and Maya (Megan Lawless) and her white boyfriend Chris (K.J. Apa) at the predominately white private school she attends 40 minutes away from her downtrodden black neighborhood. It’s a complicated world, Starr narrates, for at Williamson Prep School, she’s forced to put on a facade and she hates herself for that. Color is carefully used to visually differentiate between the stark reality of these two worlds. Warmer hues for the hood and blues to depict the colder brighter atmosphere of the mostly white world. On the weekends, Starr gets to hang out with her black best friend in the hood and listen to hip hop, but everything changes when Khalil is killed by a white police officer during a traffic stop as he reaches for his hairbrush. The community is enraged and the tragedy forces Starr, who we discover lost another friend earlier to gang violence, to take action. Remarkably adept at shooting with a sympathetic and not too heavy hand, Tillman takes the audience through the constant challenges to black family life – poverty, drugs, crime, and the prospect that an encounter with the police can have deadly consequences. 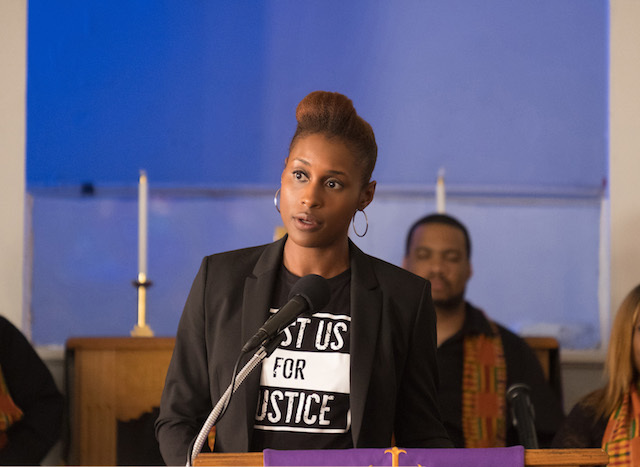 He skillfully connects the fictional world of the movie to the long line of high profile police shootings of young black people that have sparked several protests in recent years. “If you had stopped a white guy, wearing a suit in a white neighborhood, would you tell him to put his hands up or would you shoot first?” Starr, in one scene asks her uncle Carlos, a black police officer who is played by Common. His answer is a reminder of the stereotypically racist view many cops have of young black males as Carlos is forced to admit some hard truths himself about his own bias. Despite its subject matter, the film isn’t all bleak. Tillman presents Starr’s parents as positive black models. Her father Maverick is a reformed ex-gang member who grew up in Garden Heights and once served time in prison but is now a family man and valued member of the community who owns the community grocery store. Her mother, Lisa (Hall) is a nurse and of course there is uncle Carlos the black cop. Music is also a very important aspect of the film for the spirt of Tupac hovers over the story through the title and in the soundtrack. 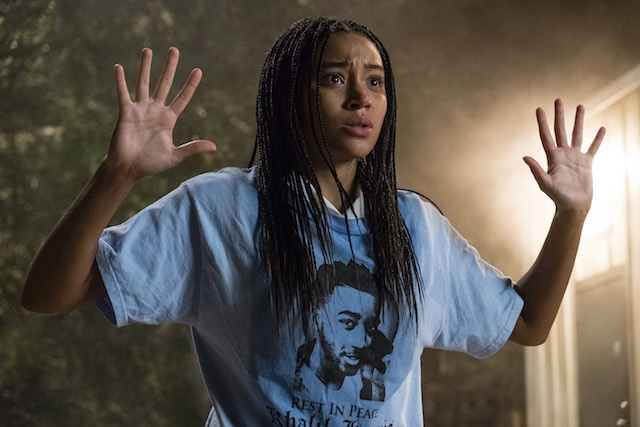 “The Hate U Give” is an emotional rollercoaster and a guaranteed tearjerker. Tillman, who is well known for his family and community centered portrayals of African American life assembles a perfect cast and expertly executes a brilliant screen version of Thomas’ book. Samantha Ofole-Prince is an entertainment industry specialist and contributes to Trendy Africa Magazine from Los Angeles. Photo Credit: Erika Doss.